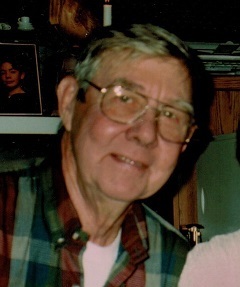 Richard Charles Massen, age 84, passed away Sunday, November 19, 2017 in his home, Magnolia Township, Rock County, WI with his wife and family by his side. He was born September 21, 1933 in Beloit, Wisconsin, the son of Fredrick and Viva (Hayden) Massen. Richard married Darlene Hazel Crawford in Beloit, WI on January 11, 1953. Richard was a member of the U.S. Army from 1954 to 1956. He retired from General Motors Corp. He liked to fish and hunt and found a love for farming later in life. His passion was his family. Richard accepted Christ as a young man and made a public commitment to Him at his baptism at the Footville Church of Christ where he became a member. He belonged to the Orfordville American Legion Post 209 and UAW Local 95. He is survived by his wife, Darlene; sons, David and James Massen; daughters, Robin (Michael) Fiedler and Lori Massen Lloyd; 6 grandchildren: Justin, Jarrod, Eric, Alissa, Ethan and Lindsey; and 2 great-grandchildren, Ryan and Mathew. He was preceded in death by his parents; sister, Lois Klinkhammer; brother, John Massen; grandson, Ryan Fiedler; granddaughter, Sarah Fiedler and a grandchild and great-grandchild in Heaven. Funeral services will be held at Footville Church of Christ at 12:00 p.m. on Friday, November 24, 2017 with David Kinnick officiating. 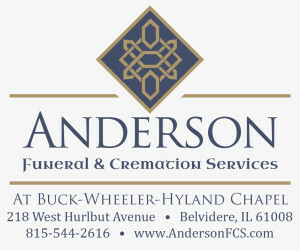 Visitation will be held from 11:00 a.m. on Friday until the time of services at the church. Burial, with a twenty-one-gun salute, was held at Eastlawn Cemetery, Beloit at 10:00 a.m. on Saturday, November 25, 2017.